Springfield, Illinois near where I live has the beautiful Dana Thomas house designed by Frank Lloyd Wright. My husband Keith and I have enjoyed traveling to homes designed by Wright and admire his architectural style and we have become fascinated with the Lifetime like story of his life. 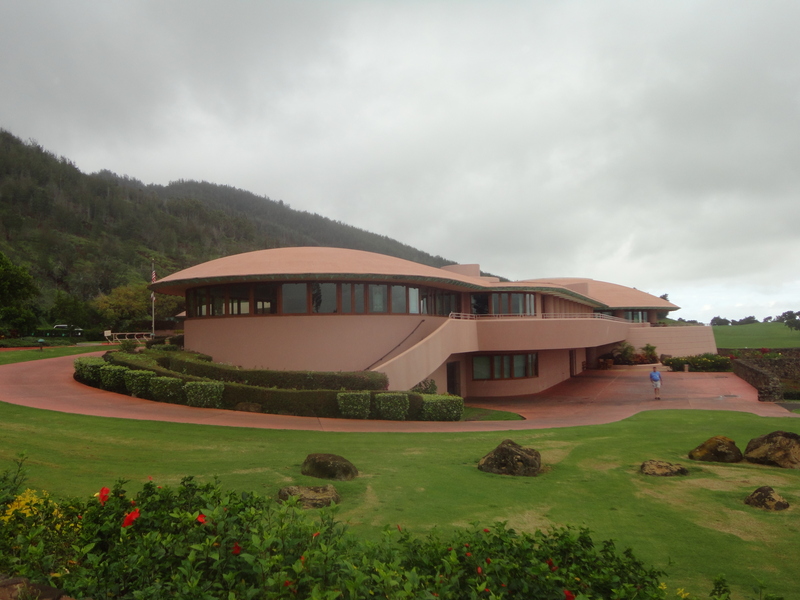 It was quite a surprise to find when visiting Maui, that the King Kamehameha Golf Course Clubhouse, formerly known as the Waikapu Valley Country used a Frank Lloyd Wright design long after Wright had passed away in 1959. The clubhouse which spans 74,000 square feet and is surrounded by a pristine course can be toured by the public. 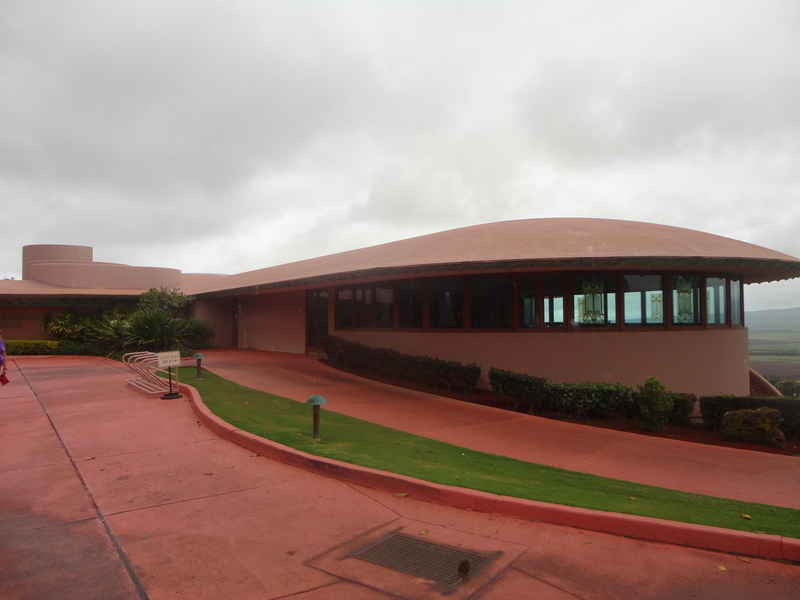 We happened to catch it on Super Bowl Sunday after a rain when the course was closed for golfing so they allowed us free rein to wonder and see the combination of Wright’s design, Hawaiian history and the King Kamhameha elegance. 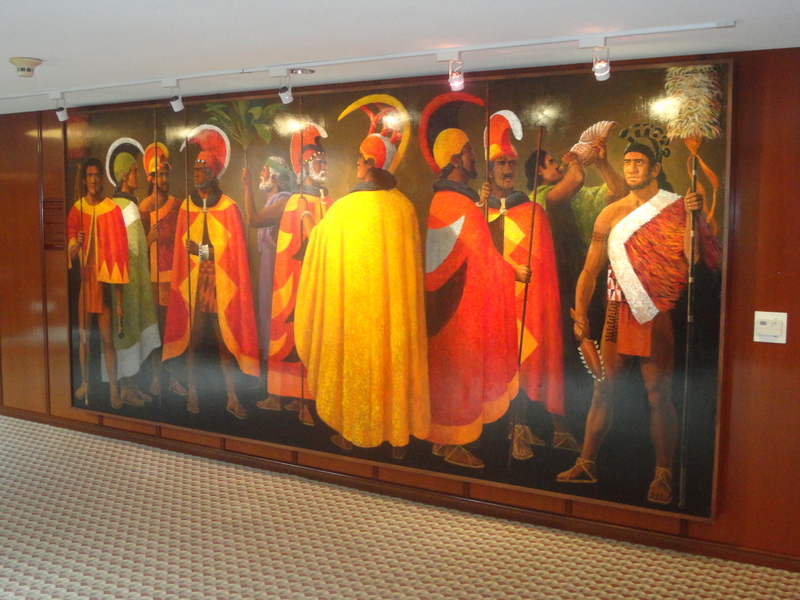 Later in 1952, the design was again brought out for Raul Bailleres, a cabinet member of the Mexican Government. Adjustments were made and everything was on track until Mr. Bailleres’ young son was killed in an automobile accident. The next couple to see the design was author Arthur Miller and Marilyn Monroe in 1957 when they wanted a large country home in Roxbury, Connecticut. This was when the design became known as the “Marilyn Monroe House”. 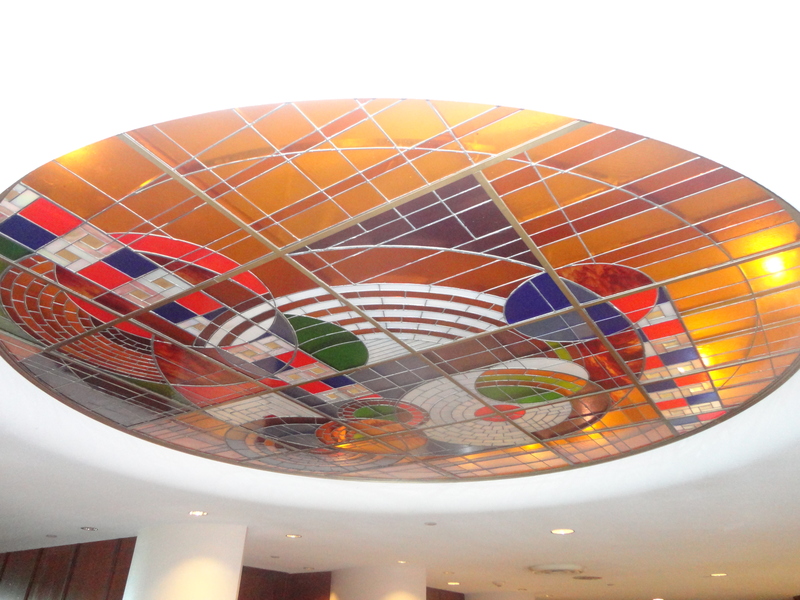 The club house is taking your breath away beautiful with Wrights art glass and abstract geometric designs inspired by nature. 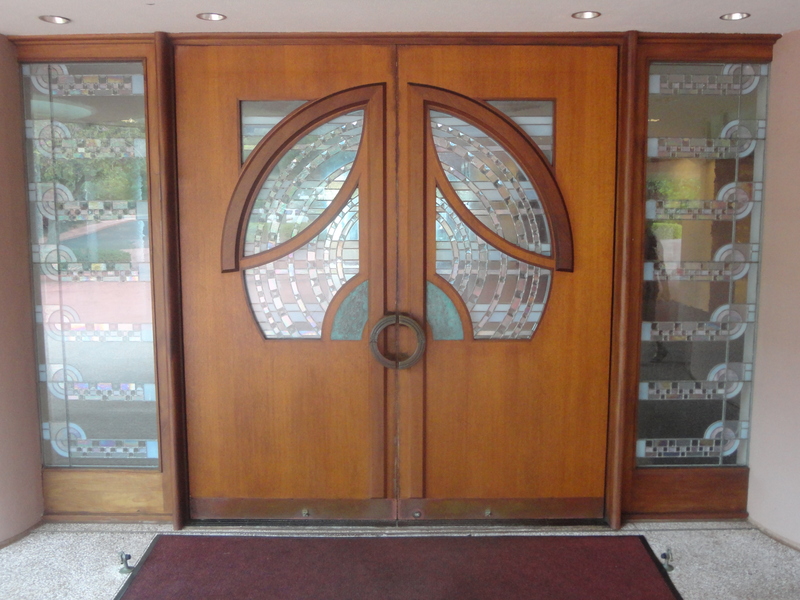 The doors, the flow of the building and everything in between is worth a stop if on the beautiful island. 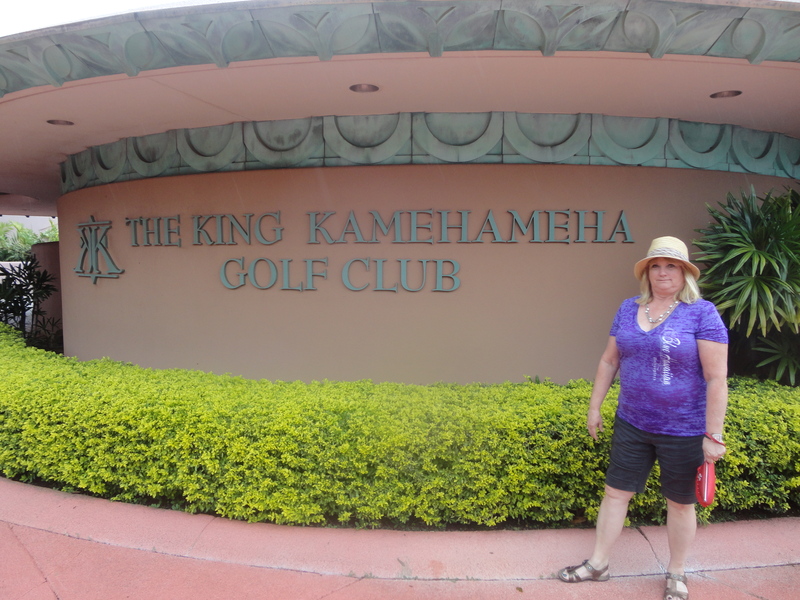 Log onto www.Kamehameha.Golf.com for more information.